The Rebel Sweetheart. : Wordless Wednesday #113 | Almost Christmas! You look ready. Love the polka-a-dot paper. I just wrapped my first presents yesterday and off to the mail. I love the way these gifts are wrapped. I still have to wrap the gifts I have for everyone. Thanks for sharing. Presents!!! I can't wait til Christmas morning!!! Beautiful packages. I haven't wrapped anything yet and don't plan on it. Just going to stuff it in the stockings. I have wrapped two. ;) Yours look great! I love the polka dotted paper. My gifts are bought but I have to wrap them. I am so excited that Christmas is almost here. Those presents and posts are great! I definitely need to get wrapping all my Xmas gifts. 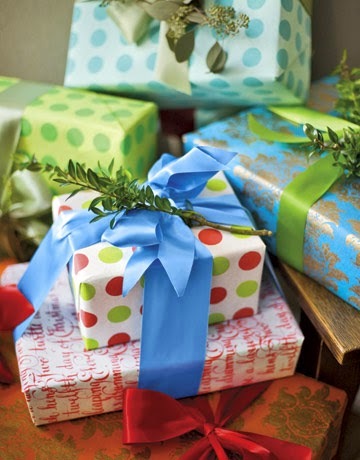 Love those wrapping papers.